Mahou Shoujo Madoka Magica. 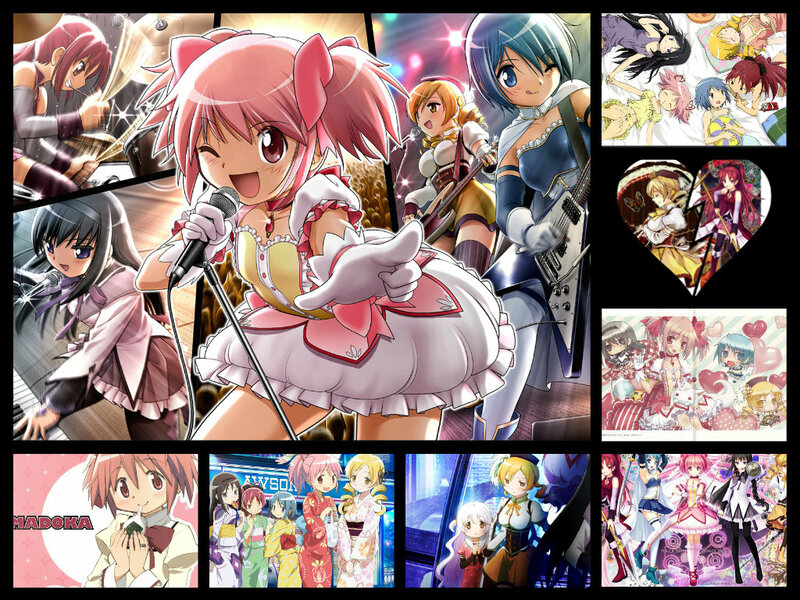 This is a collection of afbeeldingen of Mahou Shoujo Madoka Magica.. HD Wallpaper and background images in the Mahou Shoujo Madoka Magica club. This is a collection of afbeeldingen of Mahou Shoujo Madoka Magica. This Mahou Shoujo Madoka Magica fan art contains glas in lood raam and glasraam. There might also be anime, grappig boek, manga, cartoon, and stripboek.